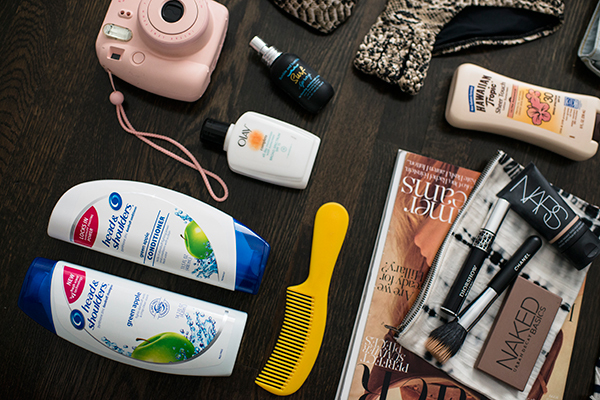 Very excited to be sharing my first post in collaboration with Head & Shoulders. If you follow me on instagram, you know I have been on a non-stop kick of weekend getaways. To me, there is nothing like escaping if even for just the weekend to experience a new city, new place, or new environment. I have some basic things I always pack with me and can’t leave my house without. Some beauty, some tech, but all essential for my weekend. What’s even more special about this post is that I am collaborating with the iconic shampoo and conditioner brand, Head & Shoulders. Now, I know what you are thinking but I promise you this isn’t just for your dad. I love what the brand is doing to get us ladies excited for their newest goodies. 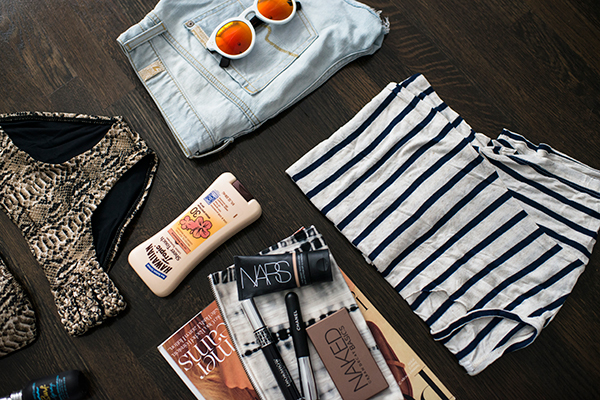 When I am packing my bag for a weekend getaway, my beauty products are just as important as my outfits. After spending a little too much time in the summer sun, my skin and scalp tend to get dry. When staying at hotels, I am always disappointed with the shampoo and conditioners they have – and I have a huge head of hair and those tiny bottles just don’t cut it. As a huge drug store shopper, I tend to look for products that are easily accessible and reliable. One of my go to products has been the full -sized bottles of Head & Shoulders shampoo, which helps me combat my dry summer scalp no matter how I style my hair. Definitely something I used to feel shy to talk about, but, it’s real life right?! No dandruff for me. Also, hello green apple smell. Below is a list of all my essentials. Hope you enjoyed my first post with Head & Shoulders and I encourage you to #ownthepart in more ways than one. This post was created in collaboration with Head & Shoulders. Thank you for always supporting collaborations here on eat.sleep.wear. Sasha - I love the swimsuit! Belen - Yes! I love that you those weekend getaways!! I try to go away as much as possible! I love head & shoulders because I always have problems with my scalp, so it helps to balance it! Domitille - Wow !! I love the glasses !! Where did you find them Kim ?? Fashion Musings Diary - Amazing bikini! nikki - that bikini is gorgeous!